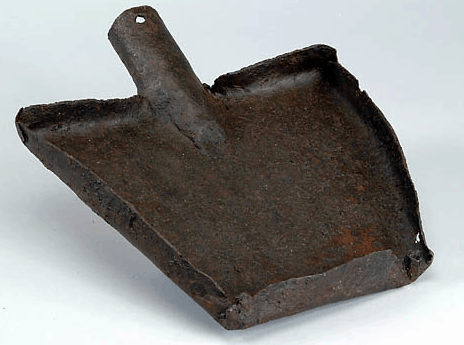 This is an example of what is possibly an improvised tool, where a shovel was shaped into a usable pan or skillet. 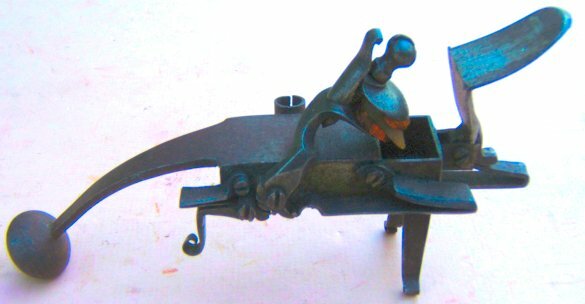 It is made of iron and measures around 9.5″ x 11″. For source and more details, click here.